This 2 bedroom apartment has involved sophisticated design that creates a feeling of spaciousness. With its natural light and airy feeling this bayside abode presents a sense of luxury and tranquility as well as the wonderful lifestyle that Breakfast Point offers. Within this light-filled, sundrenched apartment you will find an open plan living leading to extra large balcony with parkland views to enjoy all day long. 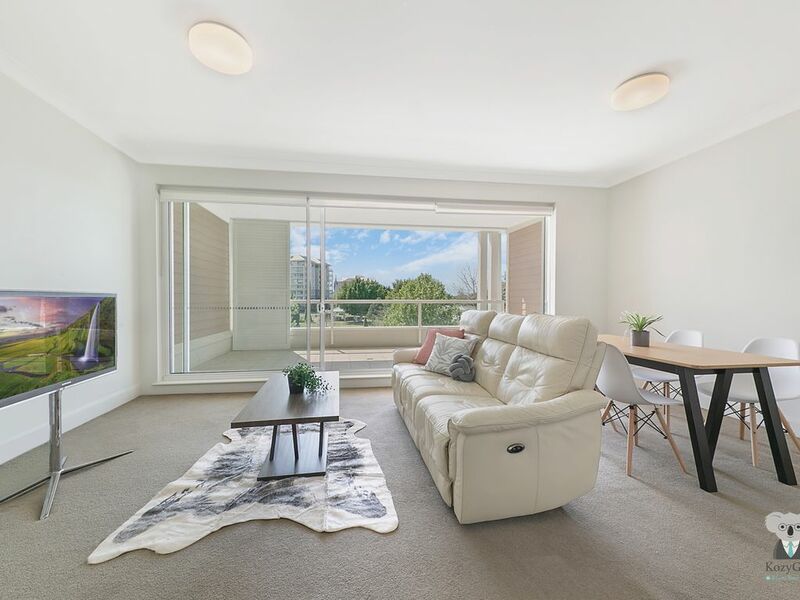 Conveniently located directly across from Breakfast Point and only moments from cafes, shops, parkland, and the bus stop & ferry terminal at your door step, easy access to the CBD and surrounding suburbs, such as Burwood. This apartment provides contemporary features with an abundance of natural sunlight throughout and parkland views. It also locates in a prime location that is easy walk to several Golf Clubs. The apartment offers open plan living, a well-appointed and full size kitchen. It also features fresh linen, pillows, blankets as well as additional amenities such as fully equipped laundry, tablet, sofa bed, etc. The King size bed is very comfortable with blackout curtains and quality linen. Full access - you re booking the "entire place", which means you re booking the entire home. You can full access to the apartment, 24 hours a day.